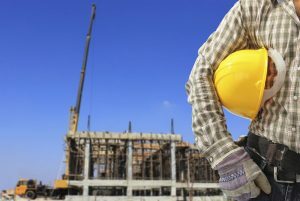 The rate of activity growth in the Irish construction sector gathered speed again in May, returning to the pace seen in the final quarter of 2014, says Ulster Bank Chief Economist Simon Barry. Rising activity was supported by strong growth of new orders with firms increasing their employment and purchasing activity accordingly. There was a further sharp rise in input prices as panellists highlighted the impact of the weak euro. The Ulster Bank Construction Purchasing Managers’ Index, a seasonally adjusted index designed to track changes in total construction activity – increased for the third month running in May, posting 63.3 from 57.2 in April. The reading signalled the sharpest increase in activity since November last year, with the current sequence of monthly expansion now extended to 21 months. “The latest Ulster Bank Construction PMI report reveals a further improvement in business activity in May. Following a noticeable pick-up in April, activity rose sharply once again last month with the headline PMI index accelerating from 57.2 to 63.3 – its highest level since November of last year.